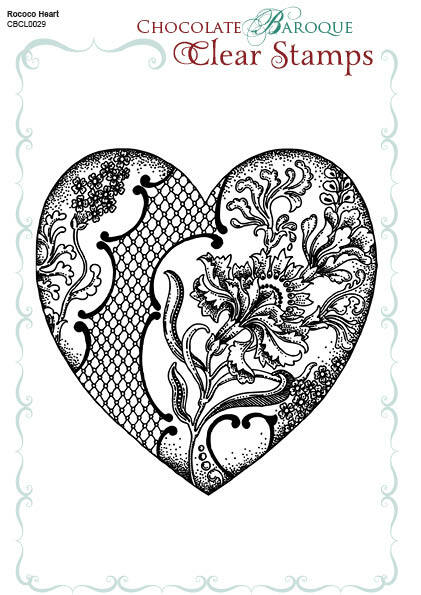 This is a single clear stamp of Rococo style Heart, filled with floral imagery. Dimensions 78 x 88 mm. I love this heart stamp! It was a great price too! Thank you. This stamp can be for any occasion as a simply but beautiful design. I embossed this image and and it looked amazing in black and white with a bit of glitter! I was absolutely delighted with this stamp. It is stunning and I think it will prove to be very versatile. An absolutely lovely stamp. Really good quality and stamps clearly. 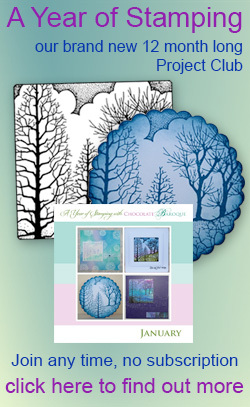 Used it first with embossing powder and all the intricate detail came out beautifully. 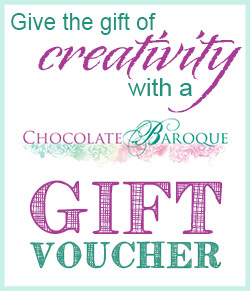 Really fast and efficient service from Chocolate Baroque as well. 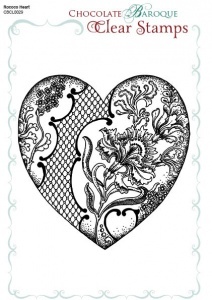 Love this design on the heart, just what you would expect from Glenda, detailed & stampout s a treat.